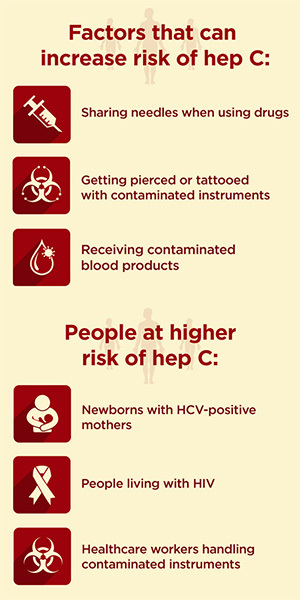 Hepatitis C is a blood-borne infectious disease which spreads when exposed to contagious blood samples. Thus proper care must be taken to prevent spreading of this disease and keeping yourself at bay from the infection. Immunosuppressive therapies which drastically lowers down the body defense mechanisms. Blood tests also called liver function tests should be conducted. These tests are done to measure the activity of chemical substances or enzyme s and other substances made in the liver. From the measurement of these parameters, we get to know as to whether the liver is inflamed or is working within limits. Liver biopsy, following which a small sample of liver is taken to be carefully examined under the microscope to check for ensuing infections. How To Prevent The Virus From Passing On?